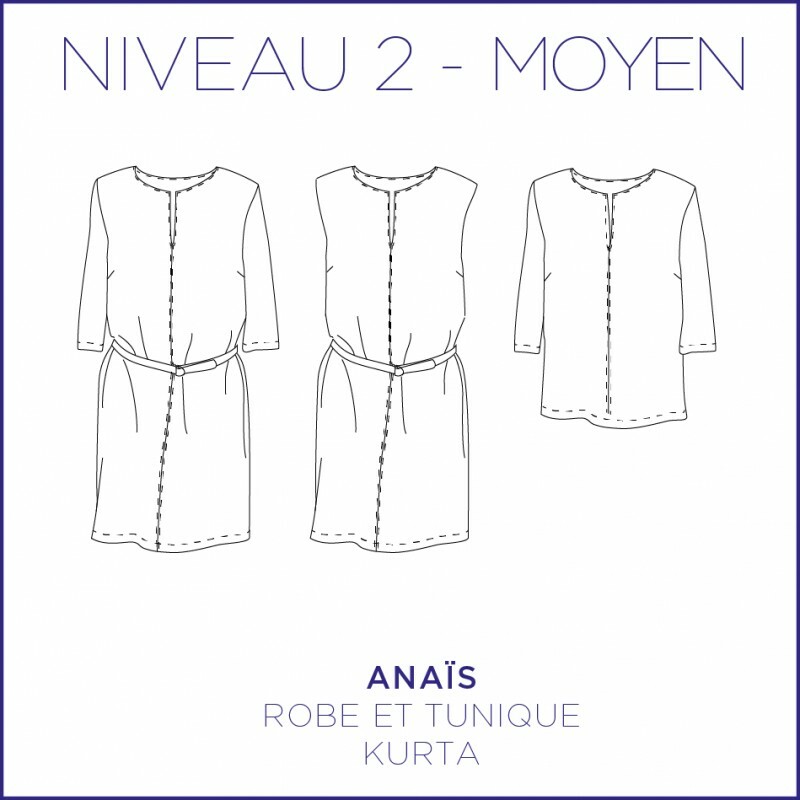 Anaïs, it's a dress and a tunic, inspired by traditional Kurtas. This model is easy to make and to wear. Actual size pattern from 34 to 46 (US/UK : from 2/6 to 14/18), category "Intermediate"
C’est moi le patron® is a registered trademark, all rights reserved - Copyright © 2015 - Pattern for strictly personal and private use. Any representation or reproduction complete or partial, made without the consent of Coralie Bijasson, is illicit. (Law of March 11, 1957, paragraph 1 of Article 40). Any resale of clothes from the models C’est moi le patron® made without the consent of Coralie Bijasson, is illicit. The seam allowances are 1 cm, these seam allowances are included in the patterns. For the version without sleeveless, you can also follow the video tutorial on YouTube. The dress and tunic, inspired by traditional Kurtas, are easy to make and wear. 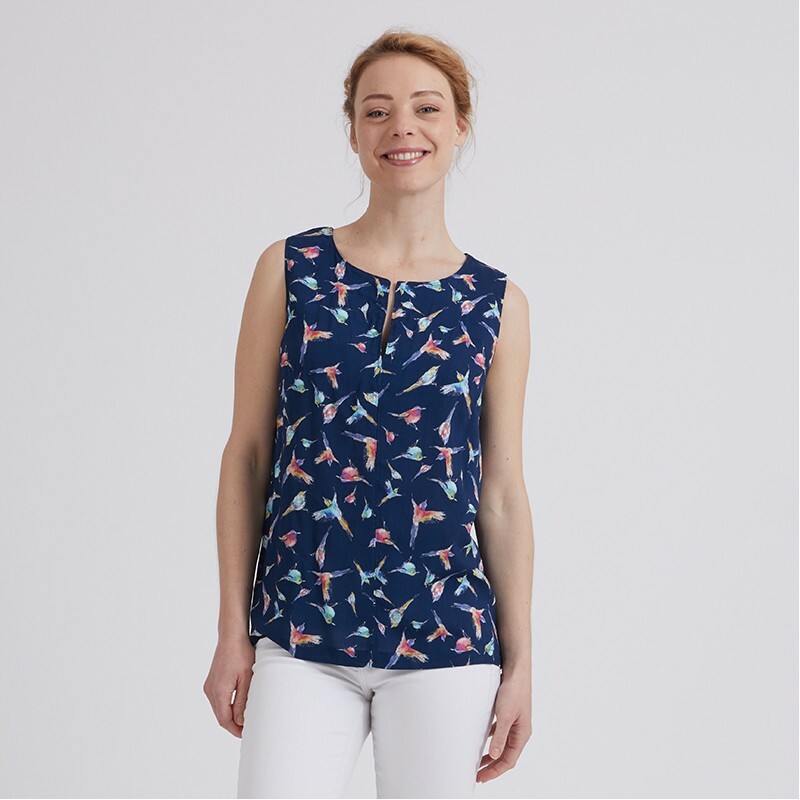 This pattern will allow you to realize a timeless and feminine piece with its pretty neckline detail that will accompany your everyday in any season. The dress can be accessorized by a belt. 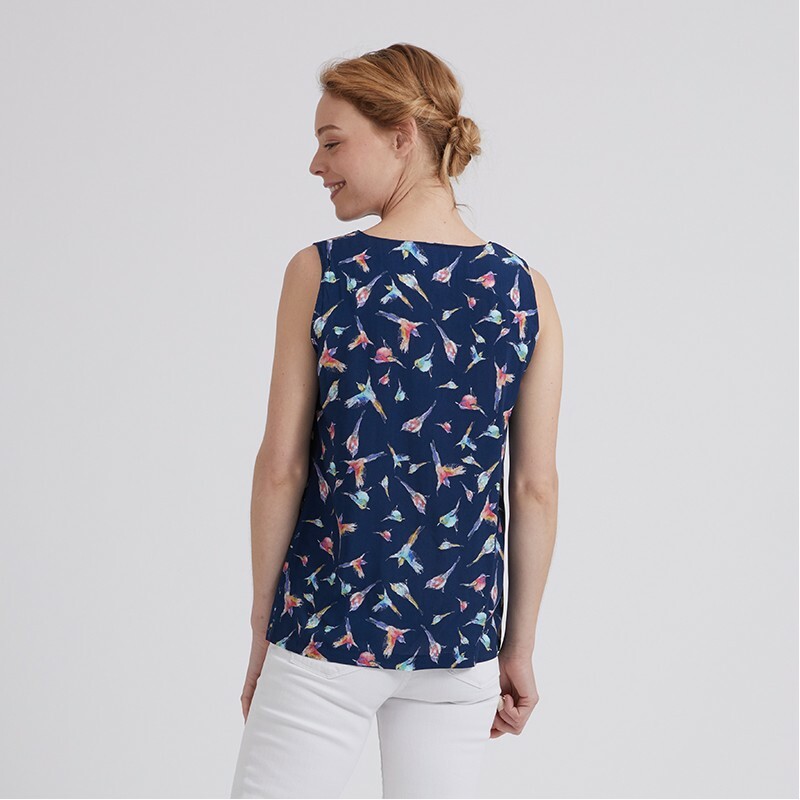 For this model, prefer light and fluid but non-transparent materials such as viscose crepe, linen, light wool or cotton. Weight : about 150/250 gr. Here, the viscose version is from Tissus Bennytex, cotton from Toto and wool blend from Les Coupons de Saint Pierre.